Survivor Redemption Island. Yes, I watch it. Well, I watch it after-the-fact on Comcast or hulu.com. The latest episode had one survivor (Phillip) saying something I had never heard. He appeared to make up a new word. He said something about the tribe playing gallantry-ly. Now there is a new word. Are there more words to come in future episodes? Should I watch other reality shows to see if I am missing new words being coined? HAVE YOU EVER MADE UP A WORD? 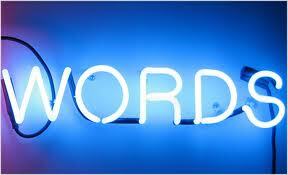 Ok- the word describes those that have a love for words and word plays. Either way, I guess I am one.